This article explains how to choose the right ‘We Buy Houses’ company to purchase your house if your for sale by owner in San Antonio, TX. These home buying companies most often will buy your house as-is, which allows you to avoid making any repairs to the house. So if you are thinking, “I really need to sell my house fast and I don’t know if it will sell quickly with the amount of repairs it needs”, you should consider contacting a home buying company that can pay cash for your house. 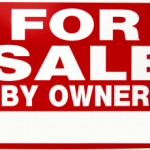 They specialize in helping (fsbo) for sale by owner’s in San Antonio. These companies usually advertise with ‘We Buy Houses’ and are not hard to find. Many run ads in the yellow pages and have websites online. The trouble is not in finding one, the trouble is determining which one to go with. This article explains if your a for sale by owner what to look for and what to avoid in choosing a house buying company in San Antonio. Location – Always go with a local company. Nationwide companies tend to find a local investor to actually buy your house and are just acting as middle men and taking part of the proceeds of the sale. You can and should go directly to a company that will buy your house. The local companies also have a better idea of the local market and can offer more because they are not low balling in order to account for unknowns. Make Sure They Are The Actual Buyer – This may sound like common sense, but a lot of home buyers will act as though they are buying the house when they have no intention whatsoever to buy it. They do not have the funds available to actually buy the house and are just trying to tie it up so that they can market to other buyers. If they cannot find a buyer, they may not close on the deal and will walk away. The actual end buyer is who you should be contacting. The way to avoid this is to ask them if they are the ones that are going to close on the house. Have them confirm that they are not going to have to find a buyer, that they are the buyer. Ask For References and Testimonials – A professional company will have no problem allowing you to contact the title company they use so that you can verify that they close on the houses they put under contract. Companies that treat home sellers with respect and fairness will have plenty of testimonials. You should always ask to see testimonials from other people that have dealt with the company. Testimonials allow you to hear how transactions were handled for other home sellers. Don’t be afraid to ask for testimonials and references. You can avoid a lot of headaches by verifying upfront that you are dealing with a reputable house buying company. Not all ‘We Buy Houses‘ companies are created equal. With these tips you can choose the right one for your needs and can avoid many traps other for sale by owners in San Antonio have experienced.